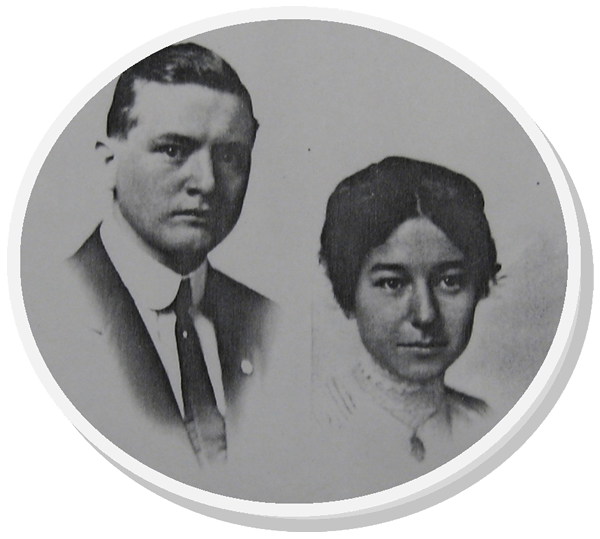 Laura & Earle Smith were barely out of college in 1913 when they left Moravia, Iowa, to try their hand at homesteading near Chugwater, Wyoming. Laura recounted their adventures years later in her memoir Almost Pioneers. Historian John Fry (UI PhD, 2002) came across Almost Pioneers while doing dissertation research in the Iowa Women’s Archives and later edited it for publication. The trail to getting the book published was almost as bumpy as the Wyoming roads of 1913–but not quite. 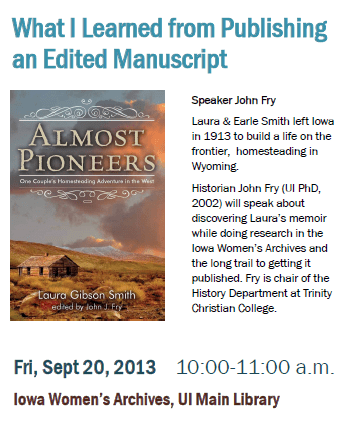 John Fry will be in town on September 19-20, 2013, to speak about the book. Thursday, September 19, 7:00 p.m.
Friday, September 20, 10:00 a.m.